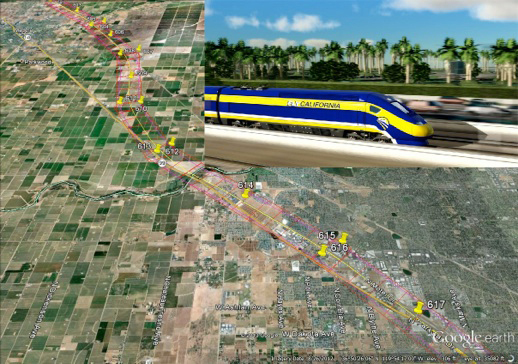 Over a period of two years the Tetra Tech Geomatics Group mapped approximately 200 miles of proposed right-of-way for the California High Speed Rail Authority. Several alternative routes and extensions were included in the mapping. The several projects all depended on color aerial photography that was acquired with Airborne GPS and verified by closure against surveyed and targeted ground control.